The fighting franchise with more than two decades of technical level fighting and a deeply dedicated community is back with Tekken 7! It will be running on Unreal Engine 4 for the first time with highly detailed characters and dynamic environments. 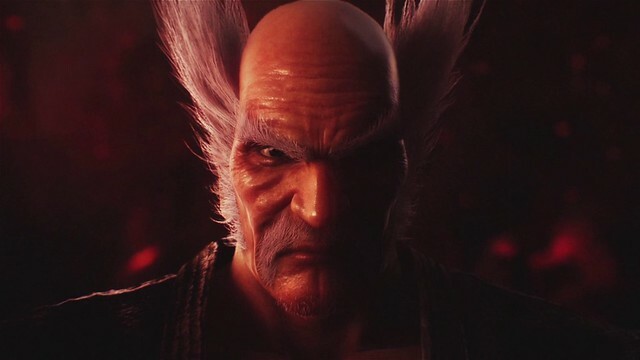 The home console version of Tekken 7 benefits from numerous modes along with an intensive canon storyline and many other enhancements to be revealed. Tekken is celebrating its 20th anniversary with the latest chapter in the historic series. Continue the fight amongst the Mishima clan and its newest member: Kazumi Mishima. What secrets will be revealed within the Mishima clan? The epic conclusion will unfold in Tekken 7! Under the leadership of Katsuhiro Harada, Tekken 7 continues to be developed by the Tekken Team at Bandai Namco Entertainment. Stay tuned in the coming months for character reveals, new gameplay mechanics, and videos showing off all of the new and exciting features in Tekken 7. If Tekken team can waste money on VR and Wii U, they can waste money on a Vita port of TTT2. I would hardly consider VR development to be a waste. I think that 3rd-person camera games like Tekken 7 are particularly well suited for VR. It would be like controlling an actual full-sized 3D fighter from a spectator seat! This would be significantly more immersing than doing the same thing on a TV, even if there is no direct gameplay advantage when wearing the headset. Based on what info? 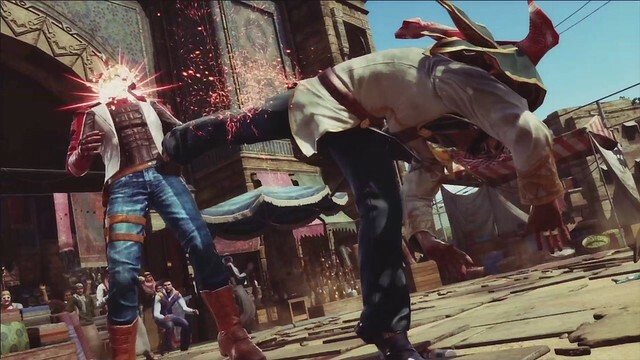 And, just to ask – have you actually played Tekken 7? @ Joyrex – You just need to search for it…a lot of iconic characters aren’t included in the arcade versions as of now. Lei,Eddy,Nina,Anna,Christie,Bruce,Baek,Raven,Bob,Ganryu,Kuma just to name a few. If the game releases like that it will be a massive disappointment for fans like me. So I hope we get all the characters that can be in the story at the very least. I’d welcome it, but deep down I’m more into the 1:1 style (unless I’ve got friends over…). Even in Tekken Tag 2 I tended to choose one buffed character over a tag team. It won’t happen sadly…that’s why we got Tekken Tag to play with Tag. Tekken 7 won’t have a Tag mode. Finally! It’s not a Playstation system without a Tekken game on there. The graphics look good and frame rate looks really nice. The only thing that concerns me is that the damage seems to have gone up, so a singe bound combo against a wall can take up over 50% of your life. That will make defense more important but will it be more fun overall? 2) Fix TTT2 on PS3 I can’t even boot the game. It crashes on boot for me. I’ve uninstalled countless times and even tried it on 3 differetn PS3’s. I borrowed someone elses copy and no dice. Somewith game saves or DLC is breaking the game. the VR experience sounds interesting, almost like a simplified “God” game. Leo might be. They recently added facial hair customization to the arcade version, and she’s the only female member of the cast who can equip it. If only we had a nice Tekken Tag 2 remaster to tide us over while we wait. Or hell, Tekken 6. There’s a game that would benefit greatly from better IQ and load times. WTF?…you want them to recycle their games?…unbelievable.Luckily Harada and Namco ain’t into this crap. No surprise at all eh,I knew Tekken 7 was coming to PS4 and despite me hating the changes you guys made in the gameplay,yeah you know what I’m talking about…Rage Arts and Power Crushers…I still can’t wait to play Tekken 7 on PS4,can’t wait to try all them new characters specially Lucky Chloe. Its a DAY 1 BUY already,if there is any pre-order up I’m pre-ordering…CAN’T WAIT but I’m really like really putting ma hopes on those character reveals…please don’t disappoint us fans. tekken 7 will be playstation 4 exclusive? Just saw the announce trailer and it says “Sony Computer Entertainment presents” at the beginning…like some here I’m now curious to now if Tekken 7 will be PS4 exclusive. Official PR release says it’s also on xbone. Hey guys, please buff Lars in the console release.